TV-GPS is a technology from Rosum Corporation of California. Basically, it is a GPS tracking technology that makes use of television broadcasting signals to intensify or strengthen GPS signals. 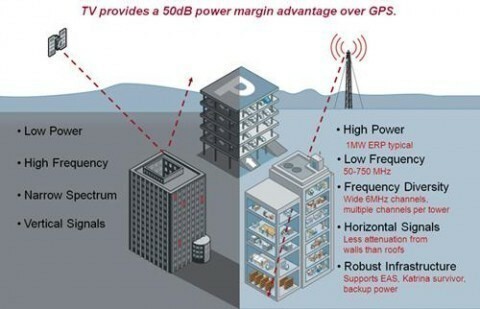 It is slated for use in urban areas where most people own a television (so the TV broadcasting signals are extremely strong) and where the regular GPS monitoring or tracking is rendered ineffectual because of great interference from electromagnetic noise and obstruction from concrete skyscrapers. 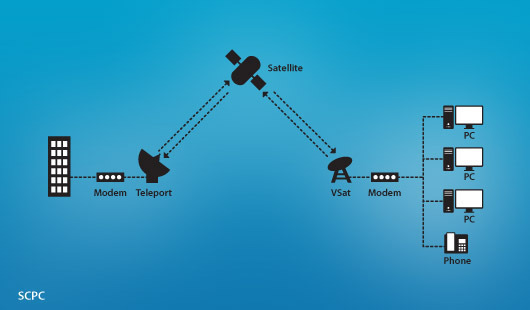 A TV-GPS system needs a device with a Rosum TV Measurement Module or RTMM which gives the TV-GPS device the capability to intercept TV signals, process digital signals and store information. There is also a location server which is loaded with an application that can process enormous amounts of data so as to calculate the location of devices with an RTMM chipset. Furthermore, there are several monitor units that are scattered around and within the area where TV-GPS units will be used. Their main task is to monitor the strength, the frequencies, the timing, and all other information pertaining to TV broadcast signals in the area. Finally, there needs to be a way to communicate information to and from the location server to the TV-GPS components. The Internet, GPRS and SMS (Short Messaging Service) are used for this purpose. In a TV-GPS Plus system, a Pseudo-TV Transmitter (PTT) phenomenally strengthens and localizes TV signals for 3-D rendering and precise positioning. This component also performs all functions the monitoring unit provides. First of all, the monitor unit collects all the information about TV signals within its range. The device gathers information on the channels that are being utilized in the area and the timing of the TV signals. The information is then sent to the location server via the Internet. The location server then processes the information and sends area-specific TV and digital signal information to the RTMM capable TV-GPS enabled devices. The RTMM in the TV-GPS devices then use the returned data to find the optimal TV channel and signal in the area and performs range calculations. Once this is completed, the TV-GPS devices sends the resulting information back to the location server. The location server uses RTMM-provided information and GPS satellite input to compute the actual location of the TV-GPS device. After its location has been established, it now sends processed information to the RTMM requesting address or location information to the network or service provider. TV-GPS has a very large advantage over traditional GPS signaling by using TV broadcast signals. 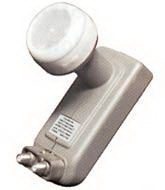 These signals are generally more powerful than GPS signals, which means range is greatly increased. They also have lower frequencies than GPS signals so they can penetrate concrete structures more easily, which provides the possibility of indoor coverage. The frequencies used greatly vary, as there are many broadcast channels. The TV-GPS can choose to use the channel with the strongest signal, which means TV-GPS can work almost anywhere in the urban landscape. Finally, TV signals have greater bandwidth than plain GPS signals, so more accurate positional data and other ancillary details can be returned. 268 queries in 0.496 seconds.